Tiger Brands Ltd, South Africa's largest food company, which has businesses covering baked products, flour , snacks and beverages this week announced it had formed a venture in Ethiopia and agreed to buy biscuit-maker Deli Foods Nigeria Ltd to diversify earnings away from its home market.The company is pushing for a presence outside South Africa. Tiger Brands Ltd, South Africa's largest food company, is in talks to acquire a 49% stake in one of Zimbabwe's largest and oldest bakeries - Lobels Bakery business digest has learnt. Market sources say officials from Tiger Brands have been in and out of the country to carry out a due diligence examination into Lobels and recently toured the operations of the company. 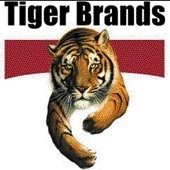 Lobels resident director and acting CEO, retired Brigadier General David Chiweza, on Wednesday would neither confirm nor deny his company was in talks with Tiger Brands. He said: "All I can say is I will neither confirm nor deny that. At this stage, we have very confidential negotiations. We are in an equity mobilisation programme and in discussions with various people." But sources say Lobels shareholders will sell a 49% stake in the company for around US$10 million in a bid to raise capital for the troubled bakery. The sources added that shareholders had opted to retain control in Lobels in line with the country's empowerment laws that compel foreigners to sell 51% stake in businesses valued at US$500 000 or more. you have got a very nice blog ,i am have some stuff like cranes for sale check it out.